is there a possibilty to use the built in Random Seed parameter to randomize other exposed parametes like float values and booleans? I am creating a Substance that generates wear and tear, the Random Seed parameter works with the Noise and Grunge Maps but I would like it to work with parameters such as the Position on a Histogram Scan. 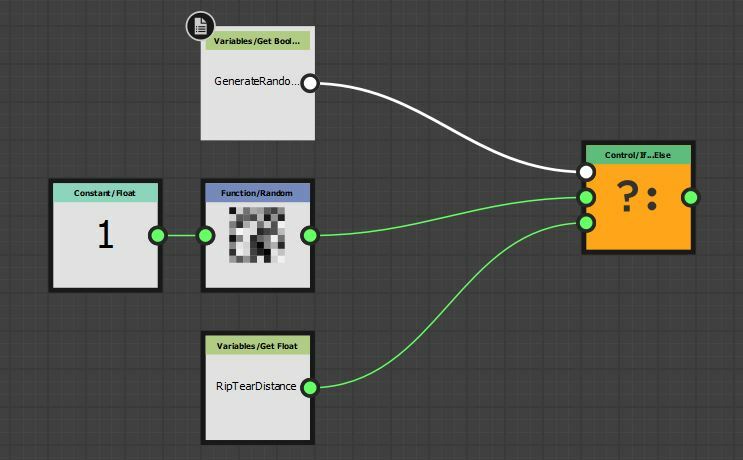 Right click on the random node and "set it as output". The value will be random and will change according to the Global Random Seed. Thank you very much. I had to think a little bit about how I can have control over the parameters when I want to and have it using the Random Seed when I want to. Turns out it's actually pretty simple using a boolean that works with all the parameters I want to randomize and a If-Else Node. Here is my setup using the boolean called "GenerateRandom"